This is an awesome place to have your party, event, or function. 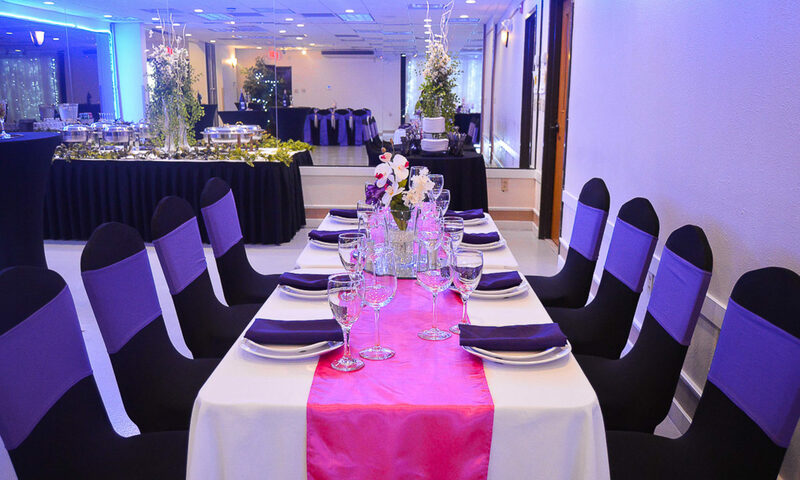 The people here knows how to make you feel elegant and make your event spectacular and make your guest feel welcome and at home with mind blowing decorations, outstanding staff, and catering with excellent good food and great hospitality. I am sold on being a big fan, they made me feel like a Queen for a day, my Masquerade party/dinner was outstanding, me and my guest was overwhelmed with compassion and a staff that put their best foot forward. Thanks’ for blowing our mind. I recommend anyone that want their event to look awesome book your event, party, or function at Consortium Venue the place to be represented well. Thanks’ again and God Bless all of you from the staff to the owners. Everything was wonderful, and I enjoyed every minute of the planning with your staff. They were so very professional and outstanding, I don’t have anything negative to say. They were there for Ken and me from the beginning to the end. Everything was BEAUTIFUL. We look forward to doing business with your venue again. Again, we say thank you. Thank you for your patience and your willingness to go above and beyond. Everything was perfect! We will definitely refer family and friends to the Consortium Venue. Thanks again and Happy Holidays to you and your family! It was a pleasure doing business with you. We thoroughly enjoyed our event. We will consider same time next year if date is not already reserved. Looking forward to our next event. Thanks again for making this event a joyous one. I just want to say THANK YOU FOR EVERYTHING!!!!!! EVERYONE WAS VERY PLEASED WITH HOW EVERYTHING LOOKED! EVERYTHING WAS BEAUTIFUL!!!!! Words cannot begin to express my gratitude for everything you all did to make my sister’s 50th Birthday party memorable. Today people are still saying how beautiful everything was. The staff was exceptional the food was amazing, and the venue was decorated to perfection! I can’t think of not one thing that was wrong, NOT ONE!!! I wouldn’t have another event without having it at Consortium Venue! Again, I truly Thank You all from the bottom of my heart for everything. May God bless you all and I pray that your venue continues to prosper because you all definitely deserve it. You and your staff were phenomenal. Everything was so perfect, and my sister really enjoyed herself. I will definitely keep your establishment on the top of my list for future planning. I just wanted you and your staff to know that my event was everything that I wanted it to be. From the time I spoke with you back in December and shared my vision of how I wanted my atmosphere to be; you guys made it happen. The staff that night was amazing!!! The DJ played all my husband’s favorite songs… and I didn’t supply him with a play list. Which tells me how good he is with reading his crowd. He was the BEST DJ EVER (Eric Green)!!!! Dominique you set up everything just as I needed it to be. The food was delicious. Thank You so much for sharing this amazing venue and amazing staff with me and my family/friends. Thank you all so much!!! My son had an AWESOME time!!!! I appreciate all the professionalism and assistance during the planning phase and the actual party! You all are a GREAT group of people to work with and I will definitely be using the venue in the future! On July 22, 2016, our family had a birthday celebration at Consortium Venue. Beginning with the first contact, our interaction with Consortium Venue was nothing less than professional. The service was GREAT, in every category. The night of the event, the staff went far beyond requirements to make sure that we had a fantastic celebration. I would not hesitate to recommend the venue.